We bring Studio Sound to You. 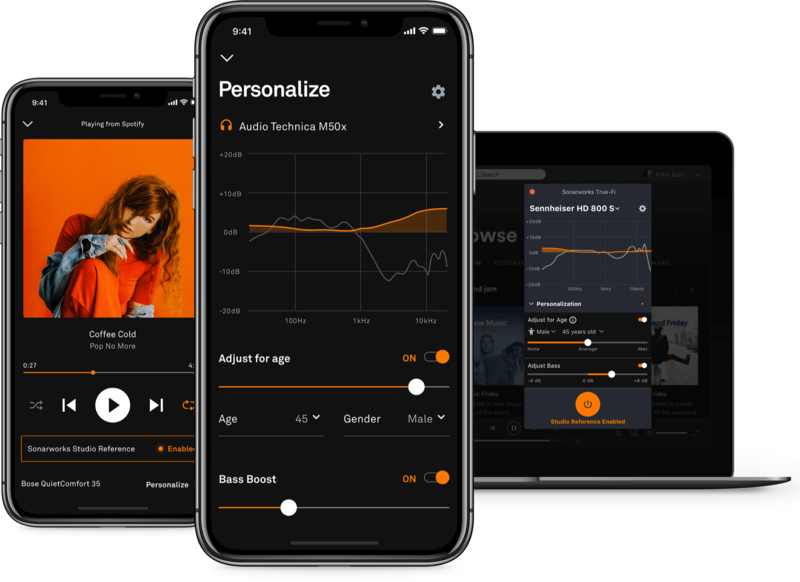 Experience what your favorite artists hear in their studios with the headphones you already have. Mobile app coming early 2019. Few are aware that all headphones sound different and alter the sound of music as it was heard in the recording studio - this sound difference is the largest remaining problem in music playback. As a result, everyone misses out. Many passionate artists are disappointed their art isn’t fully delivered to listeners, while listeners never fully experience music the way it was intended to be heard by artists. True-Fi is on a mission to address this issue by delivering original studio sound to all music listeners. By knowing the acoustic properties of most popular headphones, we can apply correction using our patented technology. We’ve taken thousands of headphone measurements and have captured the acoustic properties of over 280 different models of headphones with our patented, industry leading measurement technology. This, combined with our sound processing engine and high-res filter technology allows True-Fi to deliver unprecedented studio sound on the most popular headphone models. We're researching ideal sound settings for music listening! Try out all the sound type settings! True-Fi works only with the following headphone models. Can't find your headphones? Submit a headphone model request. Your e-mail Please make sure your email address is correct. Thank you for submitting request! We will get back to you when your headphones will get supported on True-Fi. Please select your headphone model.